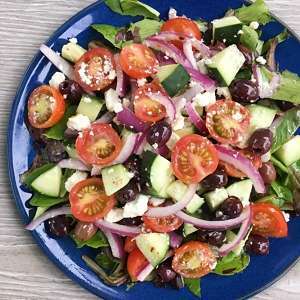 This salad is simply romaine, chopped cucumbers, tomatoes, red onion, olives and crumbled feta tossed in my go to dressing…Easy Balsamic Vinaigrette. Quick, easy and delicious! A simple flavorful salad that goes with just about everything. 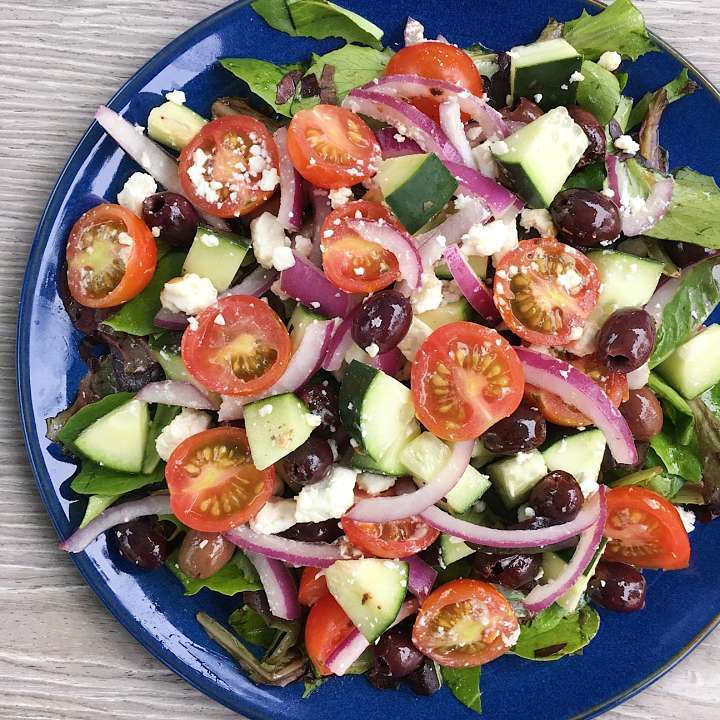 Start with the basics -- romaine, cucumbers, red onion and tomatoes-- then add olives, some feta (optional if dairy free) and toss with my go to salad dressing, Easy Balsamic Vinaigrette. Can be made ahead and keeps well in the refrigerator for several days.